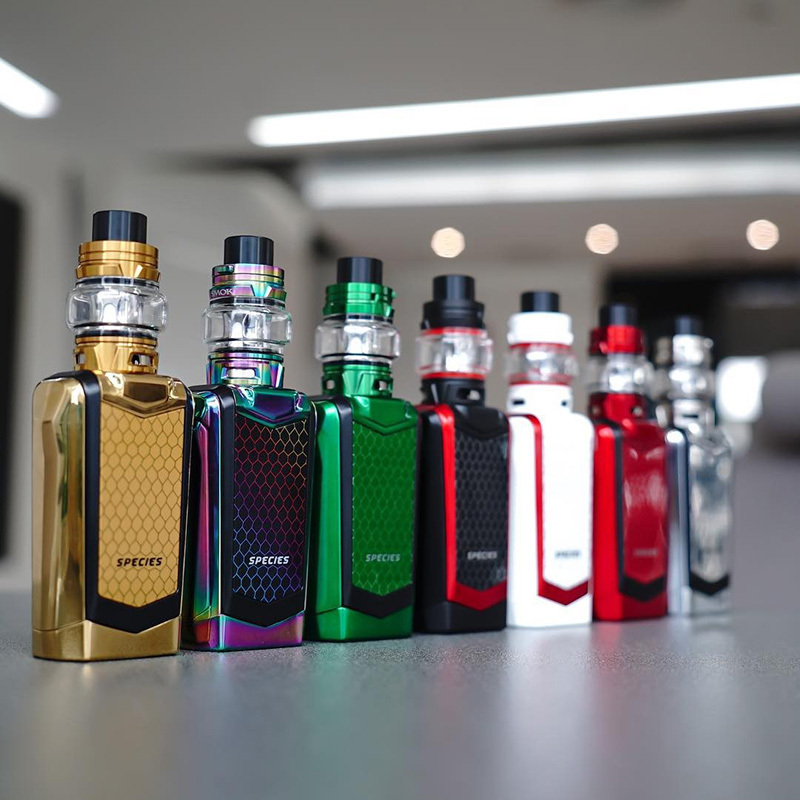 The new Smok Species 230W TC Box Mod Kit, which is the new generation of smok alien, the kit has 8 colors available, include species box mod and TFV8 baby V2 sub ohm tank. the species mod with hard lines, which reflects its sublime heroism. the front panel with one 1.45inch touch screen and an upgraded user interface, the screen locking button ensures safe vaping. the smok mod powered by dual 18650 and max output 230watts, the 5ml sub ohm tank comes with mesh coil heads, will bring you dense flavor and massive cloud. 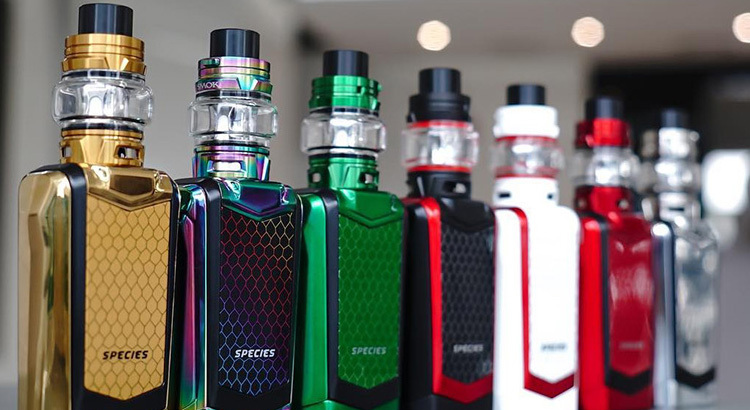 The species mod with colorful decorative strips on front and back, which like armor outline of the warriors, perfectly delineating the masculinity of the product. the front panel with one newly designed 1.45-inch touchscreen, which is very responsive, the newly upgraded user interface allow the operations can be finished with a simple touch. There is an independent screen locking button located at the bottom of the touch screen, the button makes locking/unlocking the screen simple and secure. 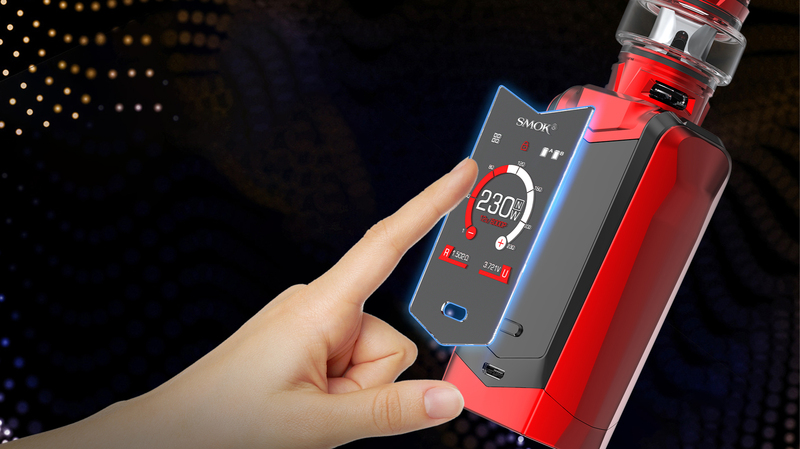 the smoktech mod powered by dual 18650 batteries and max output 230watts, VV mode, TC mode, and memory mode switchable, under TC mode, vapers can select the coil types, adjust the preheat wattage value and TCR setting. The slide-to-open battery cover allows vapers to replace the batteries easily, only slide and open the battery cover and place the batteries into or out the device according to the correct directions. 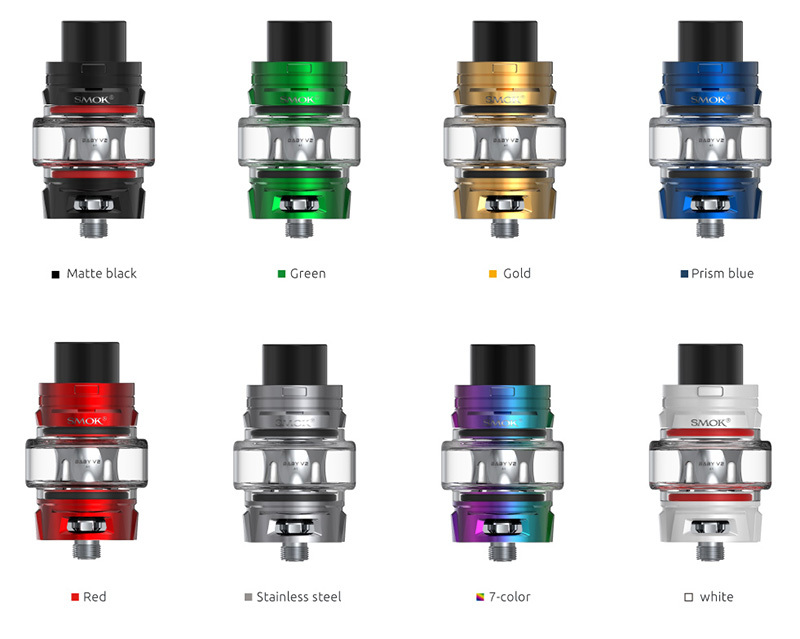 The TFV8 baby V2 is an upgraded version of the smok baby sub ohm tanks, the tank can hold 5ml e juice, comes with a bulb style glass tank, the extra regular glass tank included. convenient top refill and bottom airflow adjustable designs come with baby V2 A1 single coil 0.17ohm and baby V2 A2 dual coil 0.2ohm, the baby V2 A3 triple coil 0.15ohm optional. the A1 single core with the large surface area and single mesh coil inside, works well between 90W to 140W, deliver a large cloud of vapor. the A2 core with dual mesh coils inside, produces enormous clouds, the V3 cores with 3 mesh coils, not a big surface area like other coil heads, but deliver amazing thick vapor and purer flavor. all the coil heads have 3 colors available: silver, gold, and rainbow. The species V2 kit is easy to operate, the large touch screen is responsive and easy to use. the strength of the mod combined the TFV8 baby V2 tank gives an incredible all-day-vape experience.